Dzięki obniżeniu położenia silnika na wieży, model 15MWR oferuje ma znakomitą widoczność, kompaktowość i bezkompromisową mobilność maszyny. 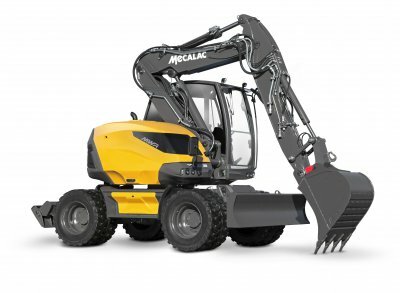 Thanks to the lowered centre of gravity of the machine, the cabin is perfectly accessible to the driver, without making too much effort or taking any risks. 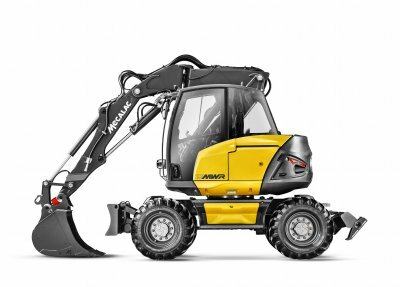 The cab is 20% lower compared to rival products on the market so now entering and exiting the vehicle requires much less effort, and is further eased by the addition of a step that has been perfectly incorporated into the machine’s design. One small step for man; one giant leap for worksite safety. 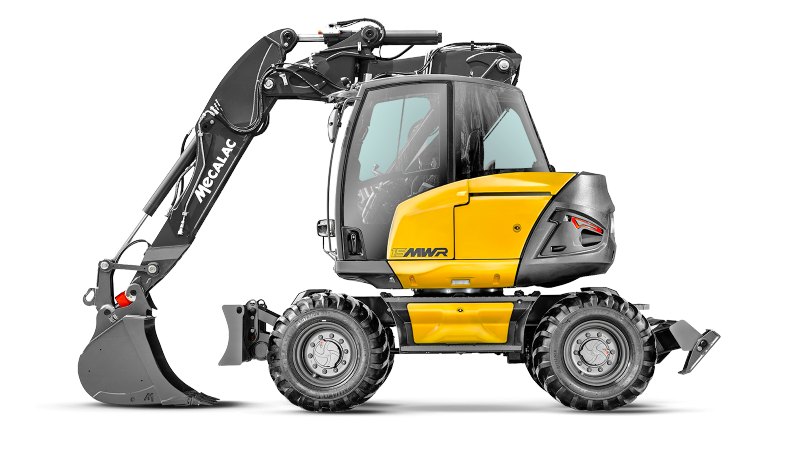 The mwr represents a new way to interact with construction vehicles, thanks to its completely redesigned internal and external ergonomics and unique interface between human-machine that combines accessibility and safety. 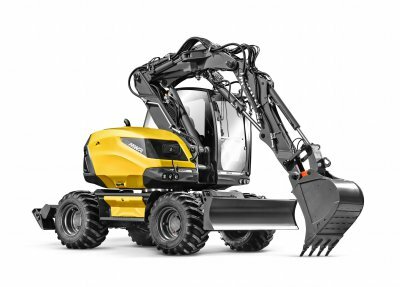 Each and every driver action is simplified, affording greater protection of everybody on the worksite. 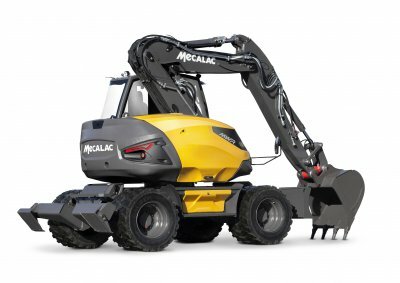 When it comes to innovation, ’less is more’ is definitely one of the keys to mecalac’s success. 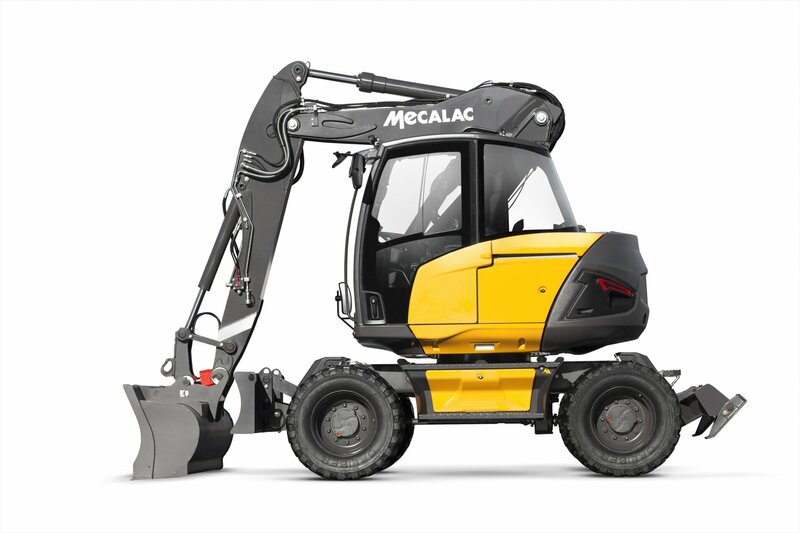 Parking, work or road mode, in one single switch. Thanks to the unique central selector, the driver can switch into road or parking mode in a single movement, thus sparing 7 to 10 manipulations. With this unique global exclusivity, everything can be done instantly by selecting the desired configuration. With this unique, worldwide exclusive, everything can be done instantly by selecting the desired configuration. This guarantees faultless and ultra- safe driving on construction sites, leaving the driver free to calmly focus on the tasks at hand and take full control of the machine. The tank is extremely accessible as it is located on the undercarriage at a reachable height. 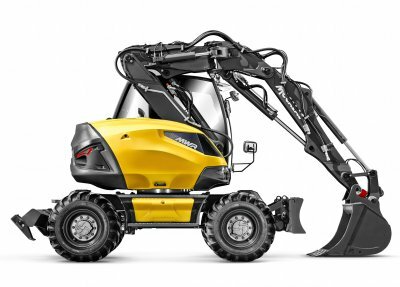 Besides helping lower the centre of gravity, the lower-down position of the tank and its increased capacity also mean that the driver or fleet manager no longer has to carry out any operations at height, nor is there anything in the way when driving the vehicle. With the majority of other excavators still mounting the fuel tank in the upper carriage, filling up an mwr is as simple as it is safe. Because daily upkeep should always be risk-free. In order to make its machines ever safer and more versatile, mecalac introduces connect, its patented quick coupler, notable for its lightness, integration, user- friendliness, reversability and its perfect safety. 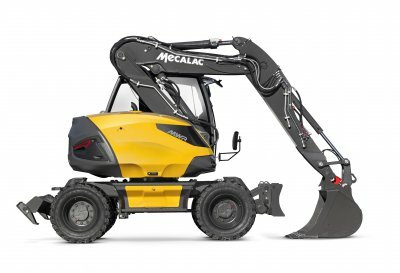 Controlled from the cab, there is zero risk of it detaching from the tool either while it is being connected or while in operation. It is equipped with a detection system that alerts the driver if the tool is improperly secured (with visual and audible signals). 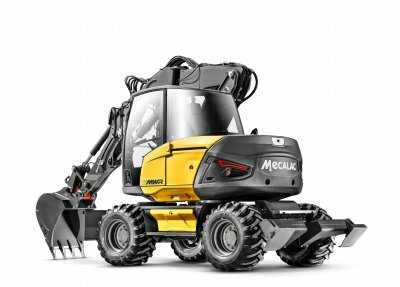 Not only that, but it is also reversible and has an automatic play compensation function, making the connect quick coupler the ultimate connection between tool and machine! 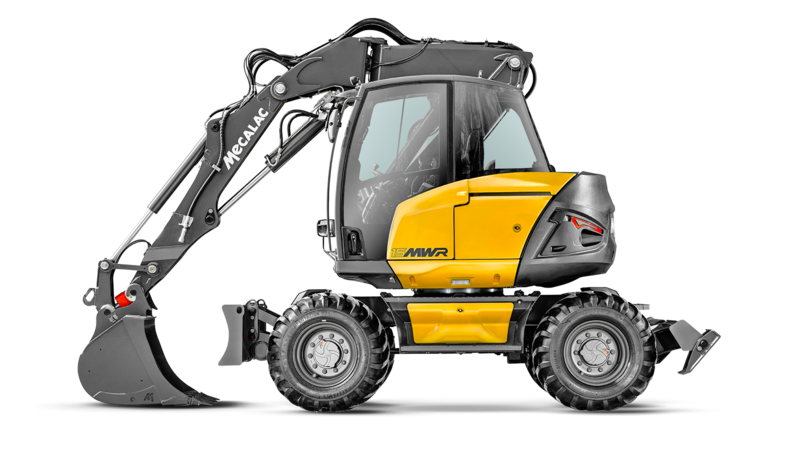 MWR machines are equipped with numerous technical characteristics for optimal construction site management on all types of terrain. The new MWRs benefit from 360° iso stability: This means the machine’s stability remains the same regardless of the rotation angle of the upper carriage. Lift, place, move, unload... all without moving. The new MWRs transform worksite logistics thanks to their incredible stability in any position and on any terrain. Whatever the conditions, they stay balanced both when travelling in transfer operations between sites as well as during work phases. This gives them 360° lifting performance - an extraordinary feat. The new MWRs can be equipped with 4 steering wheels thus allowing you to do a U-turn practically on the spot and effectively overcome all obstacles. The aim: ensuring a maximum mobility in narrow spaces. Expertise is born of experience. Ours is based on the strong concept that profitability cannot be considered without simplicity of use, coupled with versatility in functions. No matter the job, the country or the corporate culture, we offer the best visibility, manoeuvrability and freedom on each constuction site for optimal autonomy. Equipped with a loader bucket or with pallet forks, the new mwrs allow for an unusual range of amplitude whether this is positive for loading a truck or negative for offloading pallets. When the leeway is limited, the MWRs are a powerful ally. Their perfectly integrated and light offset and their 3-part arm allow them to work outside the pattern of the machine. The 3 direction modes enable the MWR to get out of any situation. With their XS dimensions, their 360° rotation and their exceptional angular displacement of the boom, the MWRs only require one way in an urban area to carry out their missions, thus preserving the security of pedestrians and of car drivers. 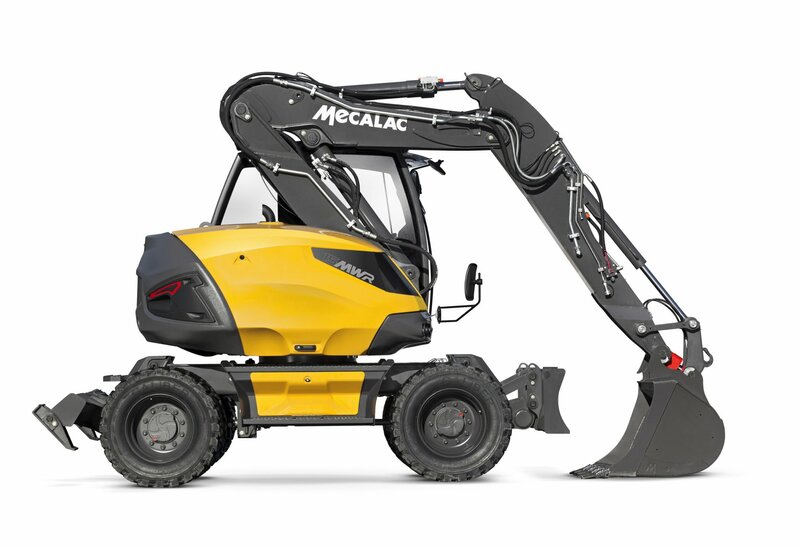 The lowered center of gravity has absolutely no incidence on the ground clearance height, which is an exclusive ’made in mecalac’ paradox. 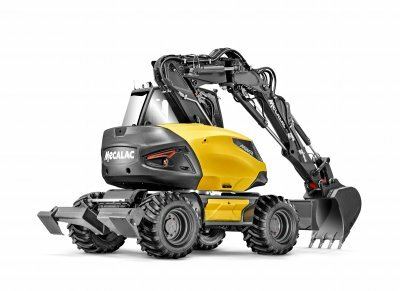 In order to guarantee the machine’s mobility in spite of ground’s unevenness, the machine keeps enough height to avoid rubbing and risks of tearing out the undercarriage. Accédez à la bibilothèque Medias de Mecalac. Pas encore de compte Moma ? Aby być na bieżąco zapisz się do naszego newslettera! Kontynuując nawigację na tej stronie internetowej, akceptujesz używanie plików cookie oraz innych narzędzi umożliwiających śledzenie w celach statystycznych, identyfikacji lub do marketingu.